Vintage: Characterized by the drought for another year, although the summer was milder than usual and the Spring rains resulted in a long ripening which produced grapes of a very high quality. Vineyard: On the border with the region of Alicante are found the vineyards of Wrongo Dongo distributed across various parcels, surrounded by mountains at some 650 to 700 metres of altitude. Cultivated on the low system between the years 1977 to 1987. Lime soil, poor in organic matter, with good surface drainage but a great capacity to retain water. Production: Harvest takes place during the second fortnight of October. Native yeasts, fermentation in vats, malolactic in tanks and aging for 6 months in barrels. R. Parker Wine Advocate: 87 points Wrongo Dongo 2015. Wine Spectator: 86 points Wrongo Dongo 2014.
eRobertParker.com: 87 points Wrongo Dongo 2015. 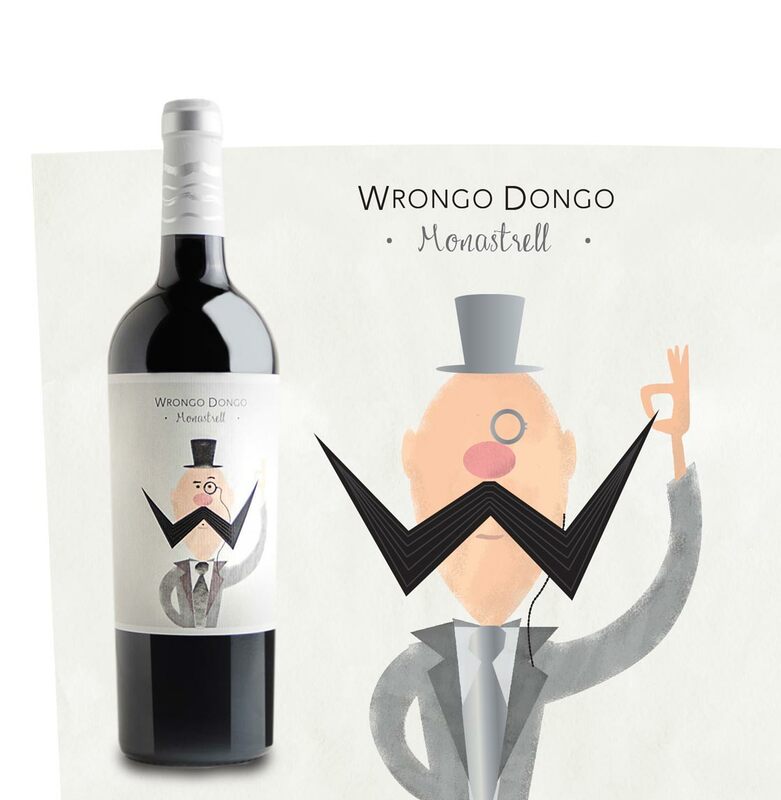 Wine Enthusiasth: 87 Points Wrongo Dongo 2014. Guía Peñín: 88 points Wrongo Dongo 2015. Guía Peñín: 90 Points Wrongo Dongo 2014. The Designation of Origin Jumilla has carried on an important wine tradition for centuries. Vines were grown in this area as early as the Hispanic Romanisation. However, it was in the middle of the 19 th century that the filoxera plague hit in broad European areas, mainly in France . This gave the the wine industry in Jumilla a spectacular boost of increased vine growing and a significant rise in must exports to the neighbouring country, which enriched the local agricultural sector. Over the years, Jumilla has become one of the oldest Designations of Origin in Spain , regulated since 1966. The Oenological Research Center has been in operation since the beginning of the 20 th century (today it is the Regional Farming Laboratory and Experimental Winery), and it currently cooperates with the Control Board. The Designation of Origin Jumilla is located in the Southeast of Spain, a transition area between the Mediterranean Levante coast and the Castilla La Mancha plateau and an area characterised by wide valleys and plains and surrounded by mountains. Its production is covered by two wide areas: the town of Jumilla , in the province of Murcia , in which the Control Board has its headquarters, and the towns and villages of Montealegre del Castillo, Fuenteálamo, Ontur, Hellín, Albatana and Tobarra in the province of Albacete . There are currently over 30,000 hectares of vineyards registered.